Kim Tae Hyun (Joo Won) who’s an unerring surgeon by day and at night he turns into the healing redeemer of everyone willing to pay as soon as it remains between them, far away from hospitals and the law. He’s better known as Yong Pal. It’s not like he woke up one day and thought of making money, he’s got his own reasons and his family is above everyone, even himself. Instead of being chased by loan sharks, he tries to pay his debt by working as Yong Pal in order to be able to keep helping his sister’s kidney dialysis. 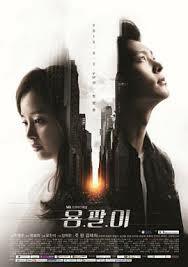 On the other side of the fence, Han Yeo Jin (Kim Tae Hee) has more money than one could ever imagine and that was the reason why she and her boyfriend found themselves in a car chase with him passing away. What is the outcome of two different people from two different worlds crossing path be? Okay, I must be honest with you guys. I was forced to watch this drama in the beginning, not that I wasn’t going to watch it, but I would rather have waited until it was complete. Although I only had to watch the first episode and I fell too hard for it. Like unrealistically too much, I would check for new episodes everyday, even though I knew when it was scheduled till. That excitement didn’t last for long, after a while I kind of forgot about it, I only watched the last two episodes because I felt obligated to do it. Despite the high ratings and the huge success it was in the beginning, the production team kept cutting episodes and put more, first it was scheduled to 24 episodes, then cut down to 16 (freaking 8 episodes!!). But that seemed too short for them, so they prolonged to 20, and then lastly cut to 18! So the storyline after episode 10 gets so messy. Its so sad that such a great drama with a huge potential would get destroyed like that. All the actors were A-list actors, amazing. You really get sucked into their world. If not for the formidable performance and chemistry between them all I would have probably dropped it. However I will recommend this drama, despite the messy ending, because of the great first half of the drama filled with action, excitement and mystery. The love-line was okay, it was no big deal, no drama between, just… them. I want to end this review with a big applause *clap-clap* to Joo Won! Astonishing act by him! He almost got the whole show going by himself, he delivers the feelings on spot.